Creative Assembly may be spooling up for Total War Attila’s release date but they’re still releasing new factions for Rome 2. Better still, they’re giving away one of those factions for free. 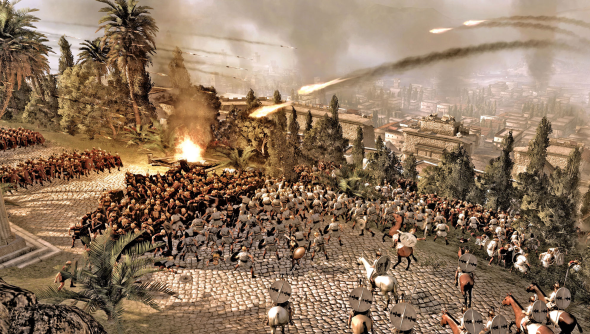 On 20 November everyone who owns Rome 2 will find themselves able to play with the new Greek faction Massilia. That same day also sees the release of the new Black Sea Colonies DLC. The Black Sea Colonies Culture Pack is a paid for DLC but it gives you a fair bit for your money. It adds three new factions – Cimmeria, Colchis and Pergamom. They’re all Greek factions but each have unique traits, strengths and hybrid unit rosters that they’ve developed as a result of their diverse culture. Creative Assembly haven’t announced a price for the Black Sea Colonies pack but, going by the prices for the other packs on Steam, £5.99 would be a good bet. We weren’t wowed by Rome 2 at release but all the updates that have come since, both free DLC and patches have sorted a lot of those problems.